Should I vaccinate my pet pig? First and foremost, talk to your local veterinarian and check your city ordinances. Different regions will have higher or lower risk of specific diseases. Some cities require pet pigs to have certain vaccinations, such as rabies, in order to be licensed in the city and legally reside. Boarding your pig at a facility or veterinarian's office may also require vaccinations. There are no *always recommended* vaccine schedule in pigs, it varies greatly by each situation/region. For example, my city mandates that my pig be vaccinated including rabies, which is used off label for vaccinating pigs. There is no approved vaccination for rabies for pigs. Vaccinations don't eliminate the possibility of your pig contracting the illness/disease, but it does lessen the chances. In spite of the fact that many "pet pigs" will never be exposed to other swine, some vaccinations are still important to ensure their continued good health as well as to prevent potential spread of zoonotic diseases. It is true that "most" vaccinations are geared towards farm pigs who are raised in a different environment than our pet pigs. However, our pets are still susceptible to diseases commonly found in the soil or when exposed to other animals or other animals waste products which are beyond our control. Vaccination recommendations vary based on region, environment, exposure, veterinarian preference, and law. Here's some examples to guide you. About 50% of veterinarians do recommend rabies vaccines to protect your pet pig in case she bites a person. If your pig is not vaccinated for rabies they can legally take her & euthanize her to test her brain for rabies. This can be prevented with a rabies vaccine. Pigs CAN contract rabies although it isn't likely. There is no approved rabies vaccine specifically for pigs, but they can still have the vaccine for legal protection or requirements. Most vets will give off label. Although adverse reactions to vaccines are rare, they can occur and may lead to potentially life-threatening anaphylactic (allergic) reactions. Most reactions are mild and resolve quickly with little to no treatment, but some (such as anaphylactic reactions) require immediate emergency care, and any delay in treatment could be dangerous.Dr. David Highsmith, of Highsmith Animal Hospital in Wilmington, N.C., said he once saw a patient, a pet named Stella, that was vaccinated at his clinic and, in a rare reaction, collapsed approximately five minutes after receiving the vaccination. Plan on sticking around for at least 20 minutes after your pig is vaccinated to be sure there is no negative reaction. Cathy Zolicani recommends: "There are a number of vaccines available for pigs -- most are used in herd situations and MOST are not necessary for pet pigs (unless you live near a piggery or visit one frequently, that sort of thing). it is important to vaccinate for erysipelas, which is located in the dirt EVERYWHERE, and which is a painful potentially fatal disease. Although pigs are not really susceptible to rabies, some areas require a rabies vaccine in pet pigs -- and if they are going to be around children, you will want to do this if it is required. finally, if your pig will be in areas with lots of junk (like near a junk yard, or some old farmyards) a tetanus shot is recommended (tetanus is hard to catch for pigs, but it does not usually respond to treatment and is a terrible disease). I have vaccinated my own pigs for only erysipelas." Neutered PBPs should be vaccinated against erysipelas and tetanus. Tetanus toxoid is especially important in PBPs housed outside in contact with other species (eg, petting zoos). Leptospirosis vaccine (6-way) may also be considered, but there is a substantial risk of high fever after use. Vaccines are not specifically approved for PBPs, so those commercially available for domestic swine are substituted. Two initial vaccinations 3–4 wk apart are followed by boosters every 6 mo for erysipelas and every year for tetanus, or both boostered yearly at the time of annual physical examination. Breeding PBPs should be minimally vaccinated against erysipelas, leptospirosis (6-way), and parvovirus; they should be vaccinated twice, 3–4 wk apart, before breeding and before rebreeding or every 6–12 mo. Other vaccines should be used as exposure risk indicates. Routine vaccination against various pathogens not only minimizes sickness but helps prevent zoonotic disease and may satisfy requirements for pet licensure. 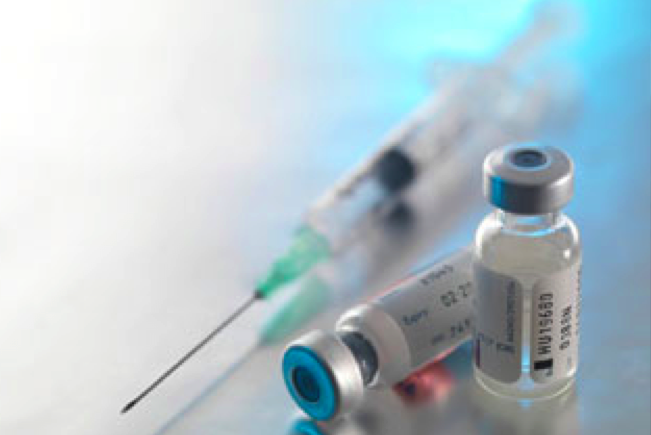 Safety and efficacy are concerns when using commercial domestic swine vaccines in PBPs. Consideration should always be given to the amount of antigen per body weight that is injected, especially in small pigs. Excessive antigen administration may cause adverse reactions. No rabies vaccine is approved for use in PBPs because of the extremely low incidence of swine rabies in the USA. Recommendations vary from zero to protocols used for commercial swine operations. Vaccination protocols will depend on whether the pig is a breeder or simply a pet and to some extent whether it lives alone or in a household with multiple pigs. Pigs that live inside (house or barn) and does not root, come in contact with wild life, creeks or ponds may require no vaccinations. Pigs living outside in contact with dirt should be vaccinated against erysipelas. Erysipelas bacterins are administered at 3 weeks of age and repeated 2-4 weeks later followed by twice yearly vaccinations. Dosage volumes generally vary from 1-2 ml, which may be an advantage in such young pigs. Combination vaccines usually require a larger volume. There are several vaccine combinations containing both erysipelas and leptospirosis if the latter is a concern. In some areas Leptospira bratislava has become a concern. Several erysipelas/leptospirosis combinations contain this serovar and also include parvovirus, which is recommended in breeding operations. Erysipelas combined with some of the respiratory pathogens is another option. These would include Actinobacillus pleuropneumonia, Haemophilus parasuis, Bordetella bronchiseptica, Mycoplasma hyopneumonia and Pasteurella multocida. Pigs are generally resistant to rabies and vaccination is not recommended. There is no approved rabies vaccine for pigs. In cases where it becomes necessary the dog rabies vaccine is used. Pseudorabies vaccination is not done/permitted since once vaccinated the pig will always test positive. The need to be tested for pseudorabies varies from state to state. Contact the state veterinarian in the state the pig is traveling into. The South East only needs a permanent ID (microchip is the best) and a health certificate for traveling purposes. In mixed herds (potbellies and feral pigs) it is possible to have positive animals and in such cases pigs should be tested. Potbellies fall into the breeding swine classification for USDA purposes. Most common vaccinations we recommend? (And we are NOT vets, but see the day to day posts people make about the illnesses pet pigs suffer, some that have vaccinations that could've lessened the possibility or even possibly stopped them from contracting the disease altogether.) Again, your vet will likely know what diseases are most common in your are and should recommend you to vaccinate accordingly. Erysipelas- (given twice a year) Click here to read more about erysipelas. Tetanus- always a possibility, especially if there are any surgical procedures upcoming or possible puncture wounds. Tetanus is a slow moving spore, so even if the vaccinations is given immediately after the injury, this may be adequate for the disease not to progress. Leptosporosis- Click here to read more about leptospirosis. Rabies- (although used off label-some cities require this)- Obviously the use is to prevent rabies. Although rare, pigs can get rabies. Having this vaccination can help you should you pig bite someone. Click here to read an article about pigs who have contracted rabies. Although rare, pigs CAN and have contracted Rabies. Rabies transmitted by vampire bats was diagnosed in pigs with paralysis of the pelvic limbs. Diffuse non-suppurative encephalomyelitis, affecting mainly the spinal cord, was observed histologically. Despite the various diagnosis of rabies in pigs this is the first report of clinical signs and pathology of rabies transmitted by vampire bats. Cathy Z, DVM, has approved the use of Frontline or Advantage Plus to use for controlling fleas and/or ticks for pet pigs. You need to pay special attention to the weight restrictions. There are several natural remedies you can try as well. There are pet approved sprays that can be applied to a brush and brushed on your pig, but be sure there are no ingredients that will do harm to your pig. Check with your vet to see what he/she prefers you use. You can find alternative methods in or summertime season section by clicking here. This video demonstrates Dr. Kristie giving a vaccination to a pig during a mini pig symposium.